Freebie alert! 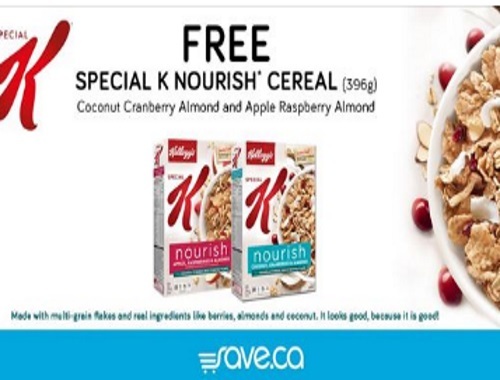 Get a Free box of Special K Nourish Cereal in Coconut Cranberry Almond or Apple Raspberry Almond via a coupon on Save.ca! This is a mail coupon. This coupon is available while quantities last. Click here to get the Free Coupon.